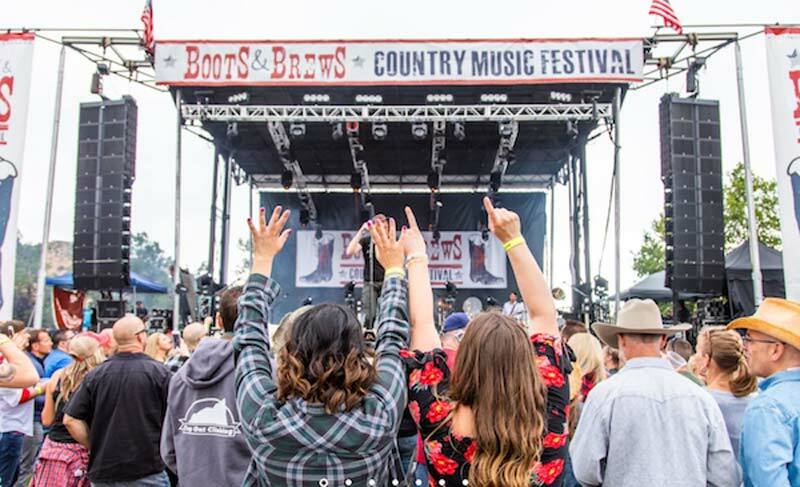 –The first Central Coast edition of SoCal’s Boots & Brews Country Music Festival is coming to San Luis Obispo’s Madonna Inn on Saturday, Sept. 29 from 1 p.m. to 9 p.m. This family-friendly affair will feature a full day of food vendors, beer and the best of dance-worthy country music. The lineup is spearheaded by headliner and rising star Jake Owen, who is headlining his own “Life’s Whatcha Make It” baseball stadium tour this summer, having previously shared the stage with the likes of Sugarland, Kenny Chesney, Brad Paisley, Little Big Town and more. Joining him during the festival will be eight-time country music charter Frankie Ballard, Carly Pearce and up-and-coming artists to watch Tyler Rich and Faren Rachels. Enjoy access to over some of California’s finest beers for purchase, and an array of food vendors will be onsite. Tickets for this rain-or-shine event are on sale now. General admission tickets are available now for $45 while supplies last. Parking is not included with the price of ticket admission. Children 10 and under may attend for free with a ticketed adult. Attendees must be at least 21 years of age with valid I.D. to purchase alcoholic beverages or to enter VIP areas (no exceptions). Visit www.bootsandbrews.com/slo for more information including set times, or to purchase tickets.